Health care is traditionally a fee-for-service system and Colorado Medicaid program is no exception. However, on the Western Slope of Colorado, Medicaid, Rocky Mountain Health Plans (RMHP) and several partnering provider and community organizations are testing new payment methodologies that could drastically change the way care is paid for and delivered. The passage of House Bill 1281 during the 2012 session empowered organizations within the Medicaid Accountable Care Collaborative to develop innovative ways to reform payment and health care delivery. 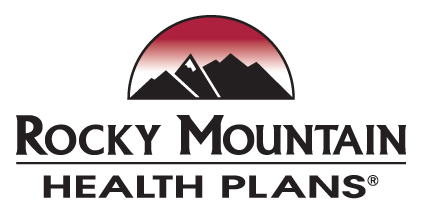 In July of 2013, the Department of Health Care Policy and Financing (HCPF) announced that RMHP’s implementation proposal was chosen as the pilot program. Beginning in the summer of 2014, Medicaid patients in seven Western Slope counties will have the opportunity to enroll in a global payment program that will integrate both primary care and behavioral health services. RMHP estimates that 18,000 individuals will be enrolled, and will receive supports based on patterns of care, hospital referrals, and social determinants such as poverty and chronic health conditions. In implementing these reforms, the health plan and providers will be fully accountable to the total cost of treating their attributed patients. As opposed to the current system where providers get paid based on the number of visits and services they provide, the new payment model gives establishes a fixed budget for all health care services. The health plan and providers are accountable for providing the best quality care possible across the continuum with the funding available. At the same time, the program is also a gain-sharing initiative. When treatment costs come in under budget, the surplus dollars are passed along to all organizations who have assumed cost accountability. The money comes back into the communities and incentivizes all involved to move quality treatment, patient health, and wellbeing move to the forefront of the equation. Just as the payment structure is “global,” so too is the view of total patient care. Mr. Gordon points out that “behavior, environment and social factors have a far greater impact on health outcomes and total cost than health care itself.” HB 1281 enables RMHP to work with providers to integrate primary care, behavioral health, and other social interventions into a holistic model of care delivery. With engaged and empowered patients, providers and patients can work hand in hand to enhance their health and quality of care received.